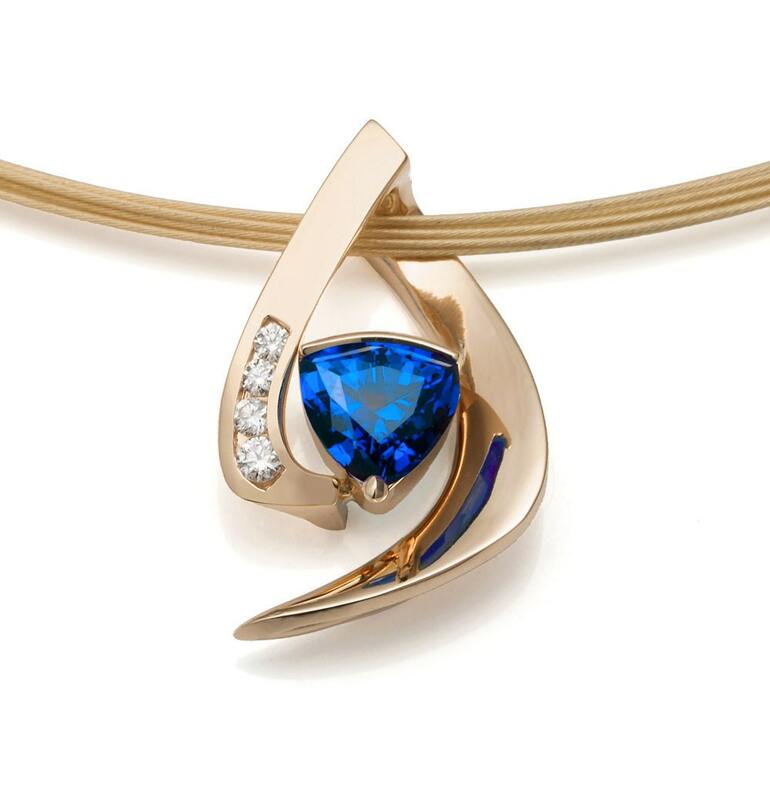 14K Gold, Chatham Blue Sapphire and Diamond Necklace. Does not include chain. 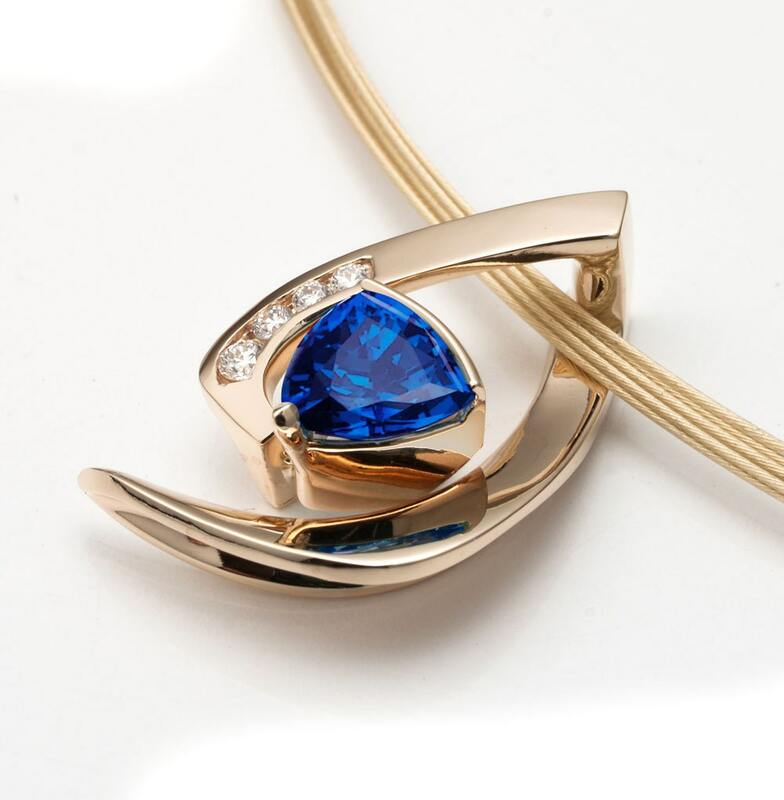 This pendant, with it's sophisticated design and beautiful gemstones, will make a wonderful gift for yourself or a loved one and be treasured for generations to come. 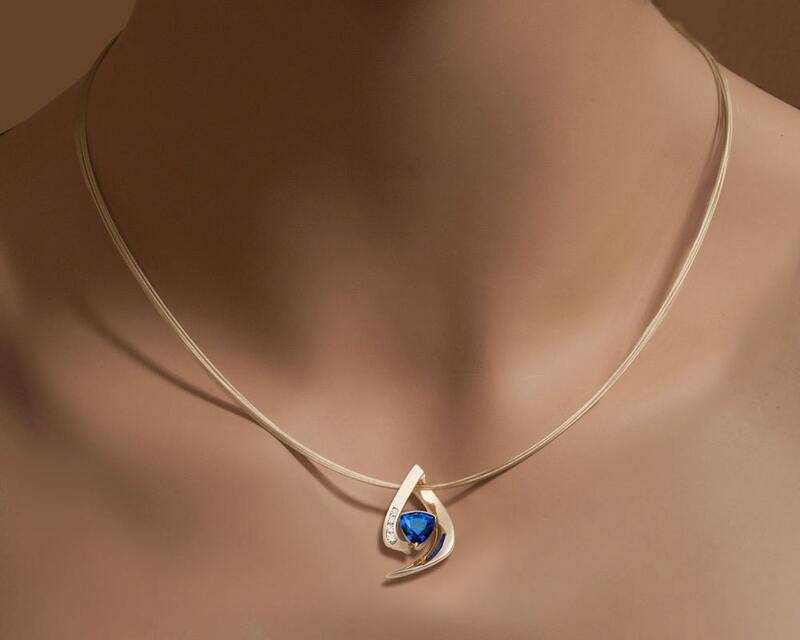 To give you more options a chain is not included, but can be purchased separately in the gold chains section of our shop. cannot be determined from the photographs. 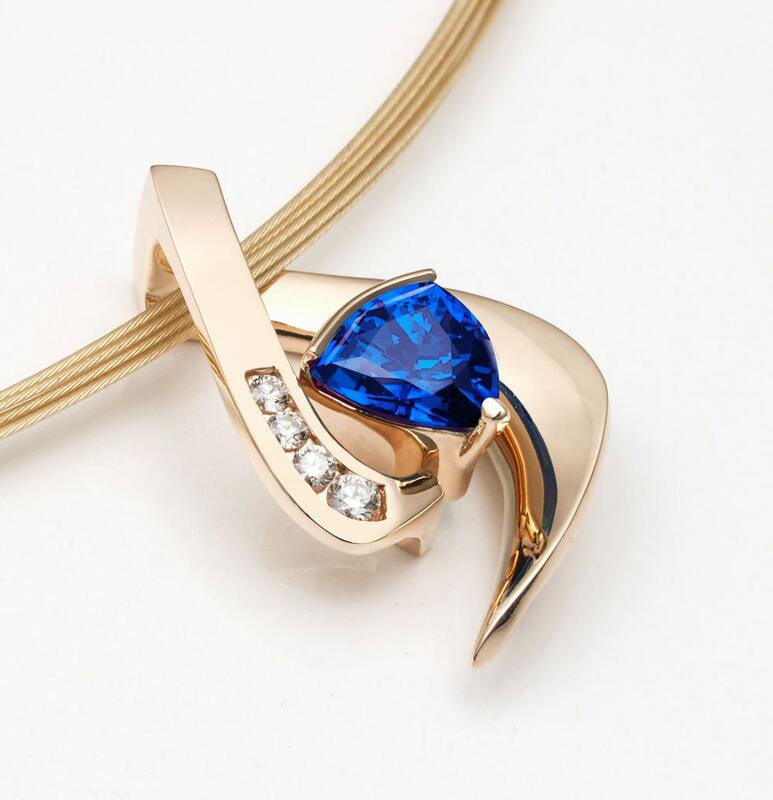 MEASUREMENTS AND MATERIALS: Cast in 14k Yellow Gold, this pendant measures 25mm x 16mm (1" x 5/8") and is set with a beautiful 7mm trillion cut Chatham Blue Sapphire and four Diamond (.11ct t.w.) (SI-GH) side stones. SHIPPING INFORMATION: Free Priority Mail Shipping. We do our very best to ship within 48 hours of payment clearing. If it is going be longer than 48 hours, we will let you know. 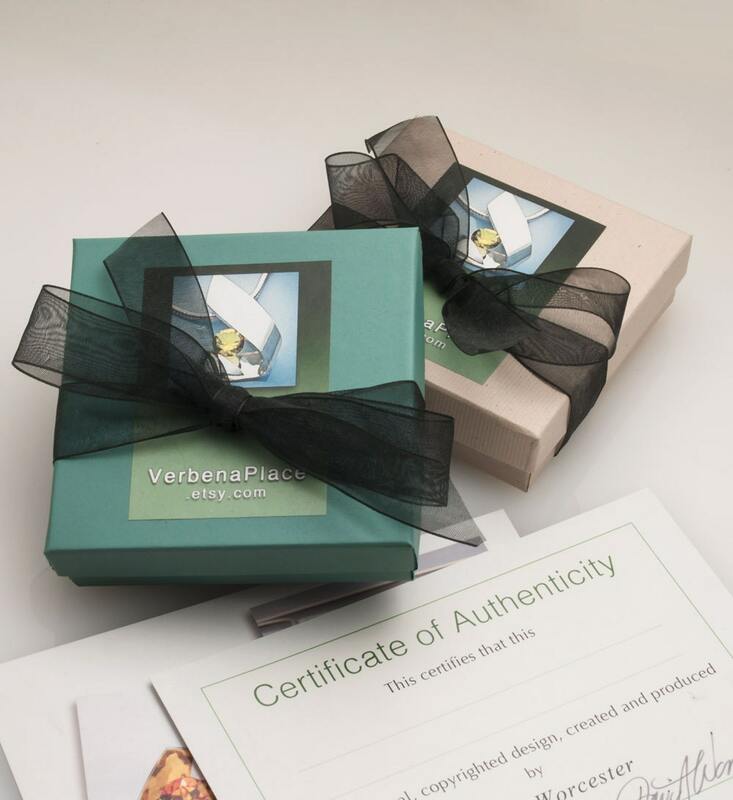 Our items are gift wrapped and shipped via Priority Mail which normally takes 2 to 4 days depending on your location. Please note that the delivery date given by the USPS is an estimate only. We cannot guarantee a delivery date. A certificate of authenticity is enclosed. We offer an Express Mail option, which usually takes 1 to 2 days, but is not guaranteed overnight. U.S. SHIPMENTS ONLY.